This is an intriguing book with murder, mayhem, cheating boyfriend turned ex jealous boyfriend, to explosions, guns, and lots of Easter eggs. So in other words there is something for everyone in this book, including but not limited to finding that one person who makes you think of changing your whole life and taking a chance on love again. His was really a great book. It holds you captivated from the moment the first explosion takes place. Every time you think the characters, Kiko and Dom, has figured out who it is that is setting the explosions off there is a new twist and turn that tells you …. Nope, you have the wrong person. Then when you get close to the end and you really think that you know who it is finally… You are thrown for another loop and BAM it is not that person either. Not to mention along the way Kiko and Dom continually get closer to one another and you are left wondering will they work out or are they going to leave it at a vacation fling. Even that is a mystery up to the last moment when you think you finally figured that out also and hen they do what you did not see coming. If you like a book with action, adventure, mystery, and love lost and love gained…. You will love this book. 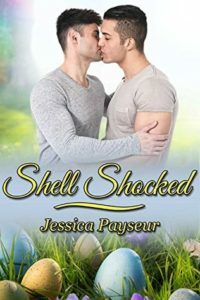 I know I did and I cannot wait to see what Jessica Payseur will do in the future with new books in the series. Definitely a book that captures your attention and holds it too the very end. It was a great read. I write scifi and fantasy romance while spilling hot beverages on myself. My talents are unending.